Things to do in Jefferson Texas. A customer bought one of our B & B gift certificates for a teacher last year. While this is not unique, often people call to inquire about our gift certificates. But this phone call was a bit different in that it was a class buying one for their teacher and that was special. I remember thinking that when I was a kid you would give your teacher a small gift at the end of the year, nothing like this. . . . Inside view of the B & B gift certificate folder. 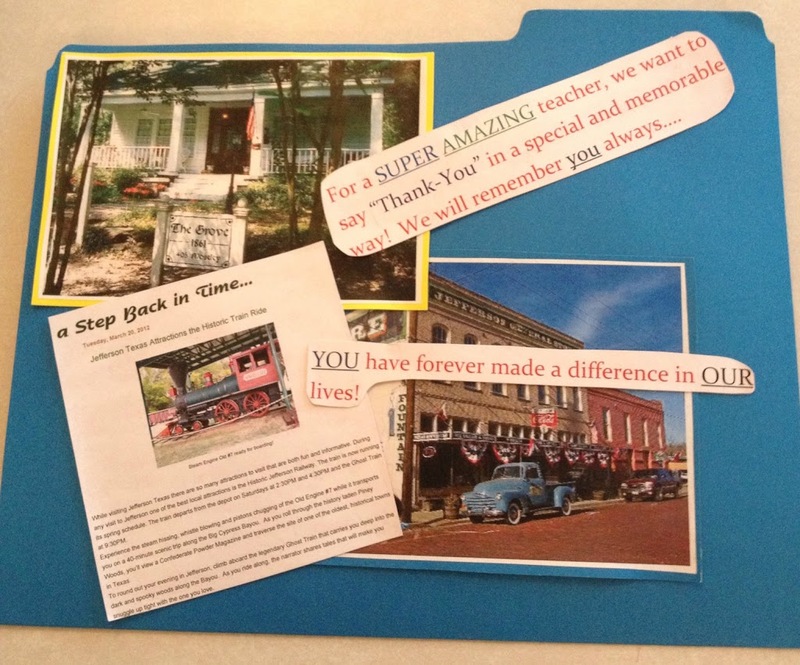 This week I received a call from the recipient of that B & B gift certificate, at the time I did not know which one it was until she showed up at my door and showed me the gift certificate her class had given her last year. I have to admit I almost cried I was expecting the usual certificate in an envelope. 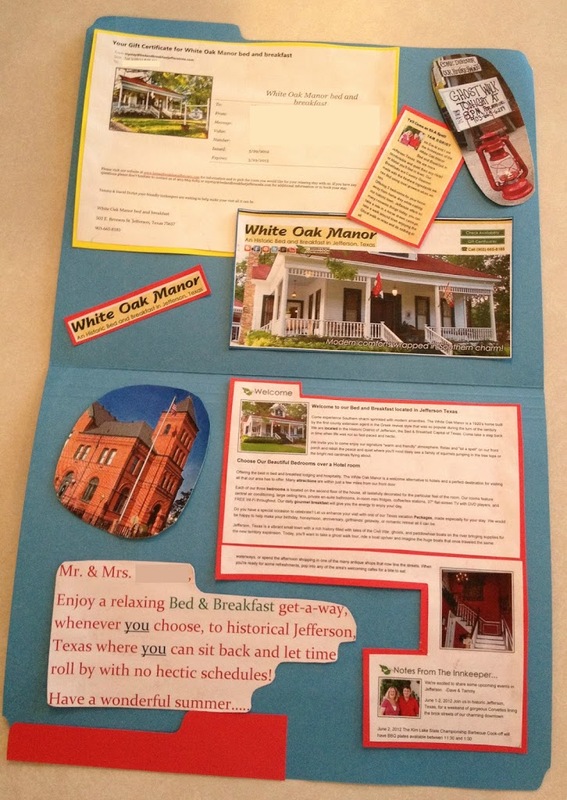 What she brought was a blue file folder decorated with pictures taken from the White Oak Manor bed and breakfast website and blog, including ideas for things to do while relaxing here in Jefferson Texas. The creativity and thought that went into the gift giving is what really makes it a memory this teacher and her husband will never forget. Now I wonder; what will your next packaging look like when you decide to give a gift certificate.